3636 Crestside Rd, Mountain Brook, AL.| MLS# 831995 | Richard Jacks UABLIVING.com 205-910-2297 | Birmingham AL Real Estate | Contact us to request more information about our Homes for Sale in the Birmingham AL area. Its great curb appeal alone is impressive, but the interior is pristine, light-filled & gorgeous! This Mt. Brook home has 4 BR&apos;s, 3 BA&apos;s, fabulous open layout & lots of recent updates including a brand new roof! Living room & dining room are large and elegant, while the kitchen & family room have that beautiful open layout everyone loves! French doors in the family room open to a relaxing new patio & the perfect backyard play area. All BR&apos;s are on the main level & the XL master suite includes French doors to the patio, walk-in closet & lovely updated master bath with a marble-topped double vanity, jetted tub & separate tile shower. Lower level features a den/playroom, laundry room, bonus room & a 2-car garage with new garage doors & storage space. Recent improvements include a freshly painted interior, a new furnace (2017), new septic (2016), new drywall & much more. 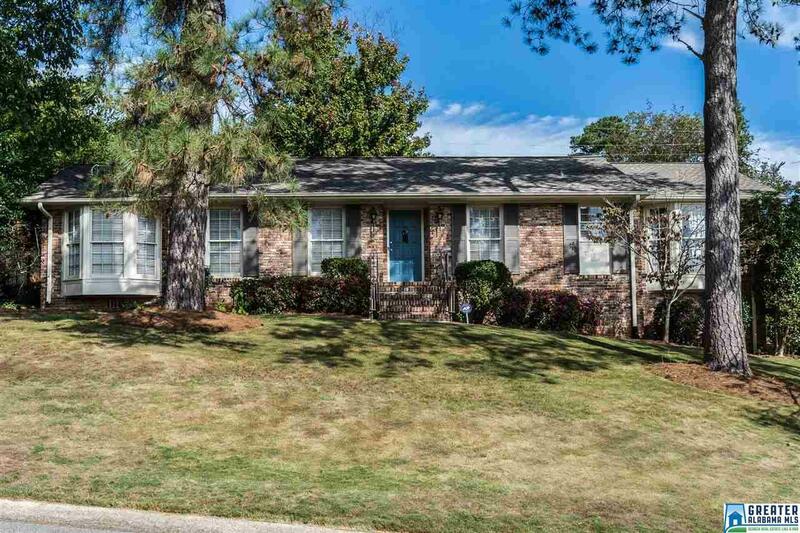 Located in a fun family-oriented neighborhood that is zoned for the award-winning Cherokee Bend & MBHS. Driving Directions: Old Leeds Road Turn Right Onto Crosshill Rd. Slight Left Onto Brookwood Rd Then Right Onto Crosshill . Left On Westbury Rd, Right Onto Westbury Way, Left On Crestside Rd.